I am a qualified First Class Sheet Metal Worker, specialising in stainless steel, with 38 years experience. 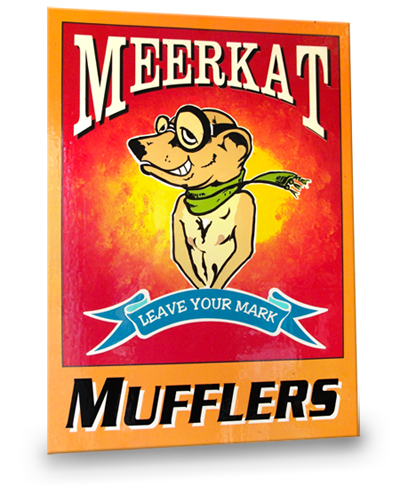 A motorcyclying enthusiast since the age of 12, I have been fabricating my own mufflers for some years and my friends started asking me to do the same for them. Eventually I realised there was a larger market for my skills and that I enjoyed this work more than my day job, so 10 years ago I started attending motorbike swap meets with samples of my work and eventually was able to focus on this, my favourite obsession, full-time. I have acquired a reputation for my ability to create, for vintage motorbikes, quality mufflers and other accessories which are unavailable anywhere in the world. I have worked from photographs, drawings, plans or damaged samples. I have a special affection for early European motorcycles. I have also fabricated some rare items for the restoration of vintage cars. As I work from my home in Gympie my overheads are low, so I am able to provide top quality hand-crafted products at competitive prices. Over time I have also accumulated knowledge about how modern mufflers work and am able to modify existing systems to produce better breathing and a more pleasing sound. I enjoy the challenge of meeting a customer’s specific design neeeds and I am more geared to this than mass-production. I can provide an estimate of cost if required and all my work is personally guaranteed. If the bike is not required for fitting, I use Australia Post for delivery. Please don’t hesitate to contact me if there is anything else you need to know.